Chemical formulas written on index cards. More than 1,700 rounds of ammunition. 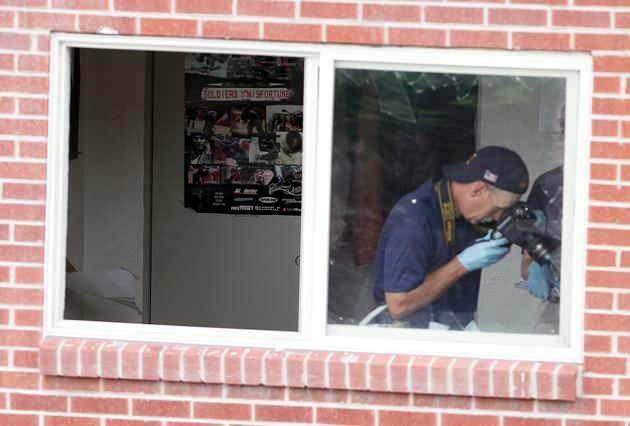 While accused killer James Holmes’ attorneys have said he's mentally ill, the items investigators recovered from his apartment send a strong signal that he was not mentally debilitated, a former FBI profiler tells Yahoo News. “Let’s put the labels aside and look at the behavior,” says Mary Ellen O'Toole, who worked for 15 years in the bureau's Behavioral Analysis Unit where she studied psychopaths and helped capture killers. Holmes, a former neuroscience student at the University of Colorado at Denver, is charged with killing 12 people and wounding 58 others when he opened fire inside a packed Aurora, Colo., movie theater nine months ago. Previously sealed evidence logs and related search warrants from the investigation were made public on Thursday. At Yahoo News’ request, O'Toole—who retired in 2009 and has no direct connection to the case—reviewed 17 pages of items taken from Holmes’ apartment. Bomb materials, supply lists, gun-cleaning tools all point to Holmes being in touch with reality, she said. From his bathroom, police recovered Sertraline, an antidepressant, and Clonazepam, which is often used to treat anxiety, bipolar and panic disorders. Over-the-counter allergy, cold and pain medications were found as well. Investigators also removed 50 cans and bottles of beer, whiskey and rum. But finding the pills and booze doesn’t prove that Holmes was consuming them or consuming them as prescribed, O’Toole said. In addition to the theater shooting rampage, investigators have testified, Holmes tried to blow up his third-floor apartment to distract emergency workers from the theater. Holmes’ defense team recently said he would plead guilty in exchange for a sentence of life in prison. Prosecutors rejected the offer and will seek the death penalty. The trial is tentatively scheduled for February 2014. O’Toole said she hopes the jury doesn’t “jump over the wealth of behavior within the crime scene” and merely label Holmes as being crazy. “Most people who do suffer from a debilitating mental illness are just not violent … not in this predatory, cold-blooded way,” she said.